AgigA Tech was named the Gold Medal winner for innovation in the Electronics & Computers category at the 2013 Edison Awards! Download Hello Non-Volatile DIMMs – Goodbye UPS presentation here. 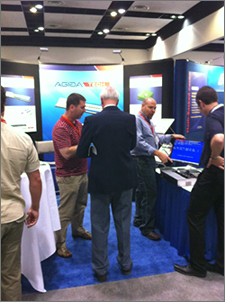 AgigA Tech again hosted a booth at the 2011 Flash Memory Summit. 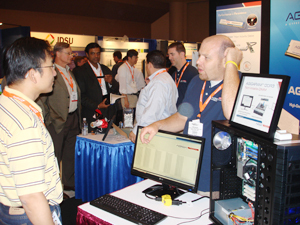 During the show, we introduced and demonstrated an evaluation system for our AGIGARAM DDR3 NVDIMM solution. 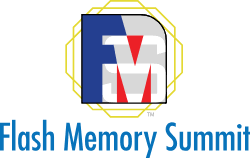 Lane Hauck, senior member of the technical staff at AgigA Tech, presented a paper entitled “Ultracapacitors Provide a Novel Solution for a New Memory” and participated in a panel discussion for the “Data Integrity and Enterprise Backup” session. 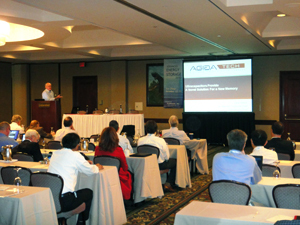 A copy of Lane’s presentation is available on our Whitepapers page. 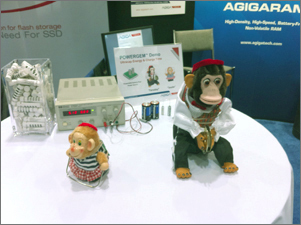 From Aug 17th to Aug 19th, AgigA Tech attended the 2010 Flash Memory Summit at the Santa Clara Convention Center. We hosted a booth in the Exhibitor’s Showcase and our very own Lane Hauck presented a paper entitled “Reliable Flash-Backed Cache Using Ultracaps” during the Flash Memory as Cache for Client Computing Applications Session.